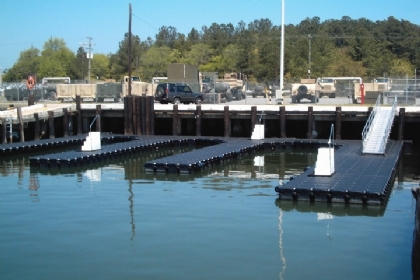 The U-Shaped Floating Dock and Floating Walkway is 5' wide by 20' long plus 6'8" wide by 20'. 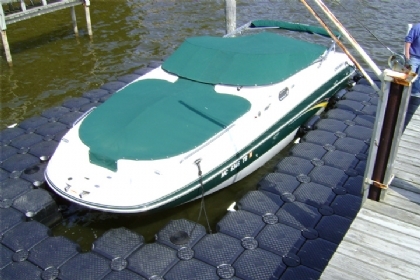 This modular, changeable design allows floating walkways of any size and style to be created. Perimeter tie-off cleats included. Find even more floating docks and floating walkways that can dock the number of watercrafts you have, as well as finding the most visually pleasing walkway. 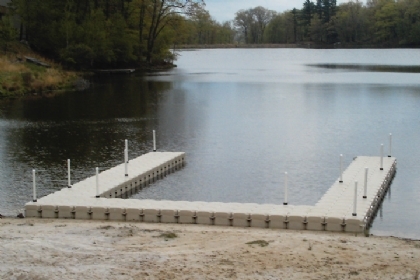 Customizable floating docks are a speciality of Jet Dock. Built with robust material, this U-Shaped Floating Dock and Floating Walkway is sure to be a lasting investment for your aquatic boating activities. Patented, Modular, Changeable Design That Allows Configurations Of Any Size & Style. Select the thumbnail to view larger image.